Thank you to (614) Magazine for featuring Ed Gaydos and Seven in a Jeep in their September issue. If you’re in Central Ohio, be sure to pick up a copy of (614) before the month is out. The issue features a sample chapter from Seven in a Jeep as well as Ed’s bio. A special thank you goes to the article’s author, David Lewis, for taking the time to check out Ed’s book. We appreciate it! Will You Review Seven in a Jeep? We’re so thankful to all of the great folks who have picked up a copy of Seven in a Jeep and read it. Whether you’ve received the book for free or purchased it, will you help other book buyers make smart choices by leaving an honest review of the book online? There’s no need to stress out about what to say and you can even leave a negative review if you’d like, we just want to help the book-reading community and increase the amount of information available about our book. If you have an Amazon.com account, you can review the book here. If you have a GoodReads.com account, you can review the book here. If you buy books at BarnesandNoble.com, you can review the book here. Thank you for taking a few minutes to review our book. Your review can be short or long, good or bad, just be honest. We really appreciate it! Seven in a Jeep Now Available! 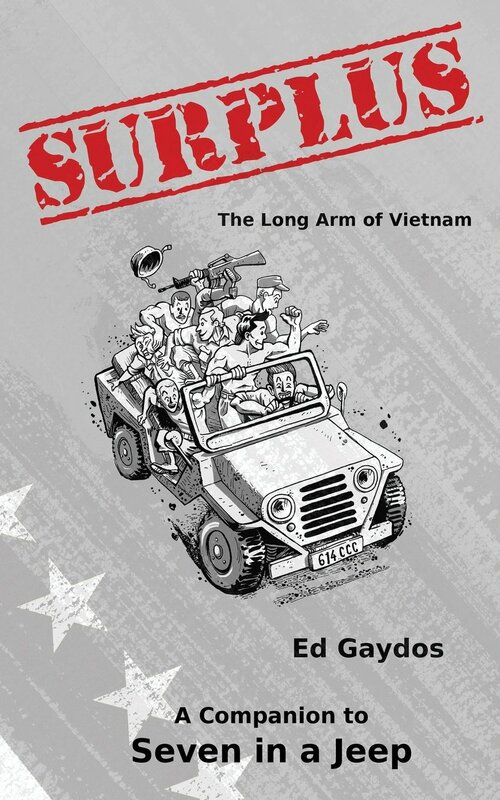 Seven in a Jeep: A Memoir of the Vietnam War is now available! The paperback is available from Amazon.com (click) and BarnesandNoble.com (click), and available by request at all brick and mortar bookstores. Find the e-book on Amazon Kindle (click). More e-book markets coming soon! After you pick up a copy, don’t forget to leave a review at GoodReads.com! Congratulations to Ed Gaydos! You’ve written a fantastic memoir, and now the world will have a chance to read it.